"50’s presence and his inspiration at that time was infectious, in terms of the culture, in terms of the community, in terms of the hood, in terms of hip-hop. Like him or not like him, 50 Cent has a master plan of marketing his brand and using his life to draw attention to what he was about. "We all saw it right before our eyes. He was leading by example in terms of how he would flood the hood with songs. A lot of times people be so jealous of each other, we don’t give each other credit for what we teach each other in this game. Different people have been innovative businessmen as it relates to marketing and strategy, and everybody who’s part of this game benefits from it, but we often don’t give people the credit they deserve. 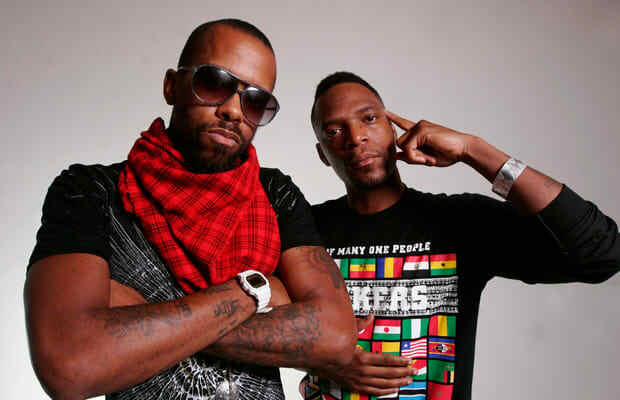 "For us, as Dead Prez, we was watching 50. We certainly might not have united with everything, content-wise, he was about. Some things we did. But we appreciated his go-getter, guerilla approach to making your dream happen. In terms of how he had the bootleggers flooded. All the Africans in New York had his tapes, to the point where we were influenced and our Turn Off the Radio mixtape, we benefited from some of his tactics and applying it to some of our own stuff. "I salute 50 as a brilliant business person, even though politically he took some stances on things—like loving selling crack, and certain views he might have towards women—that we don’t necessarily agree with. But in the bigger scheme of things, I think he has shown by example the power of being on top of your business as an artist."